Physician, rancher, MLA (1886-1888), Premier of Manitoba (1887-1888). Born in the township of London, Upper Canada (now Ontario) on 1 June 1843, the son of Milner Harrison of Yorkshire, England. He was educated at the University of Toronto and at McGill University (MD, 1864). He practised medicine until 1882 at St. Mary’s, Ontario. In 1882 he moved to Newdale to become a rancher. 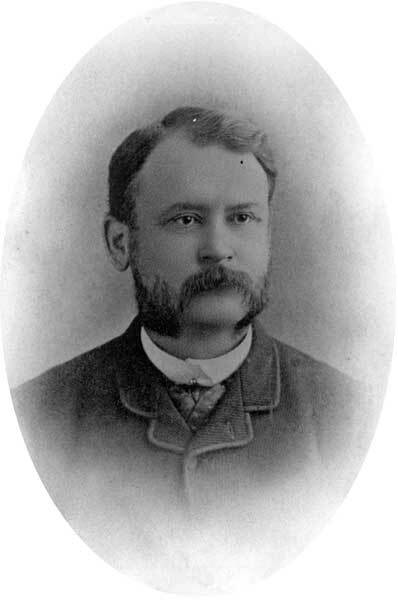 At the 1883 general election, he was elected to represent Minnedosa in the Legislative Assembly of Manitoba, and he struck up a friendship with Premier John Norquay. In 1886, he became Minister of Agriculture and was re-elected. He broke with Norquay over the government’s railroad intrigue, becoming Premier himself on 26 December 1887 and serving for one month. The Legislature met on 12 January 1888 but the new cabinet did not receive enough support to carry on. On 19 January Dr. Harrison and his colleagues resigned and Thomas Greenway was asked to form a government. After his short term as Premier he continued in the business world for a time as a banker. He was married twice. His first wife was Margaret Notman (?-?) and their daughter Margaret Harrison (?-?) married John Wemyss. In 1874, he married Kate Stevenson (?-? ), daughter of George Stevenson, of Sarnia, Ontario. His last days were spent in British Columbia and he died at Vancouver on 8 September 1905. He is commemorated by the Rural Municipality of Harrison. “David H. Harrison, 1887-1888 ” by Karine Duhamel in Manitoba Premiers of the 19th and 20th Centuries, edited by Barry Ferguson and Robert Wardhaugh, Canadian Plains Research Centre, 2010. David Howard Harrison, Dictionary of Canadian Biography Online.